In most cases, pre-packaged “convenience” foods are a big no-no when trying to maintain a gluten free healthy diet. However, this recipe features one time-saving convenience item that won’t have a negative impact on your health! 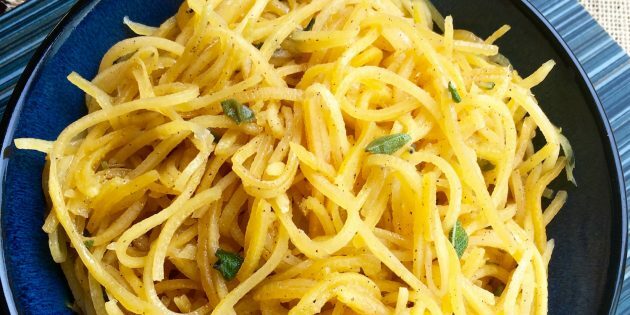 You can now find pre-packaged butternut squash “noodles” in most larger grocery stores and they are absolutely perfect for those nights when you need to get dinner on the table quickly. If you click on any of the links associated with this blog we will receive a small commission!! Thank you for supporting me and my business!! The Le Creuset Skillet!! I have talked about this skillet many many times before and it is one of the staples in my kitchen. It distributes the heat evenly over the surface of the skillet and heats up quickly. With it being non stick it makes clean up a cinch even when cooking steak. Click on the picture or link to check it out!! 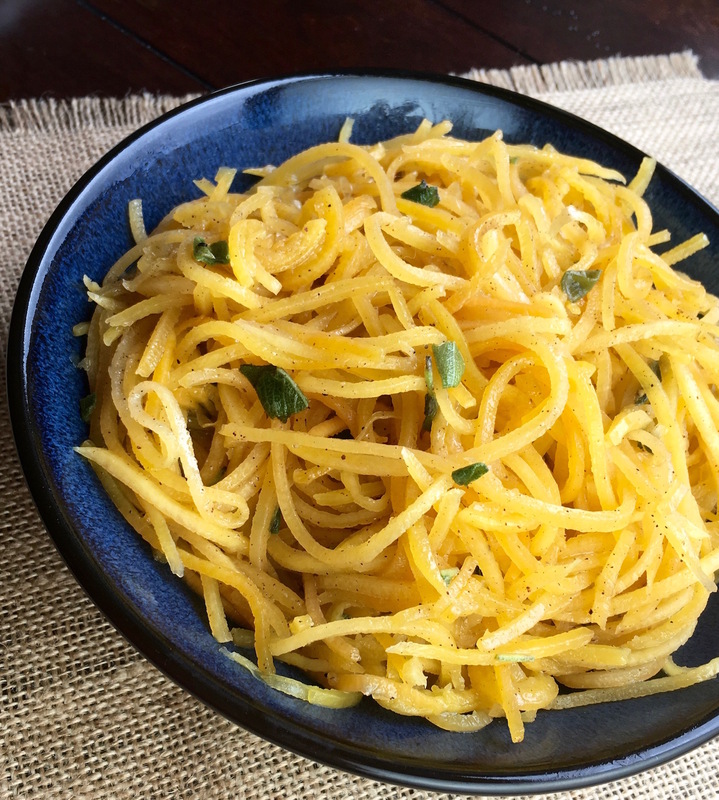 To make the Daikon noodles I used a veggie spiralizer. The one I linked here comes with 5 different blades and secures tightly onto your counter with powerful suction cups. 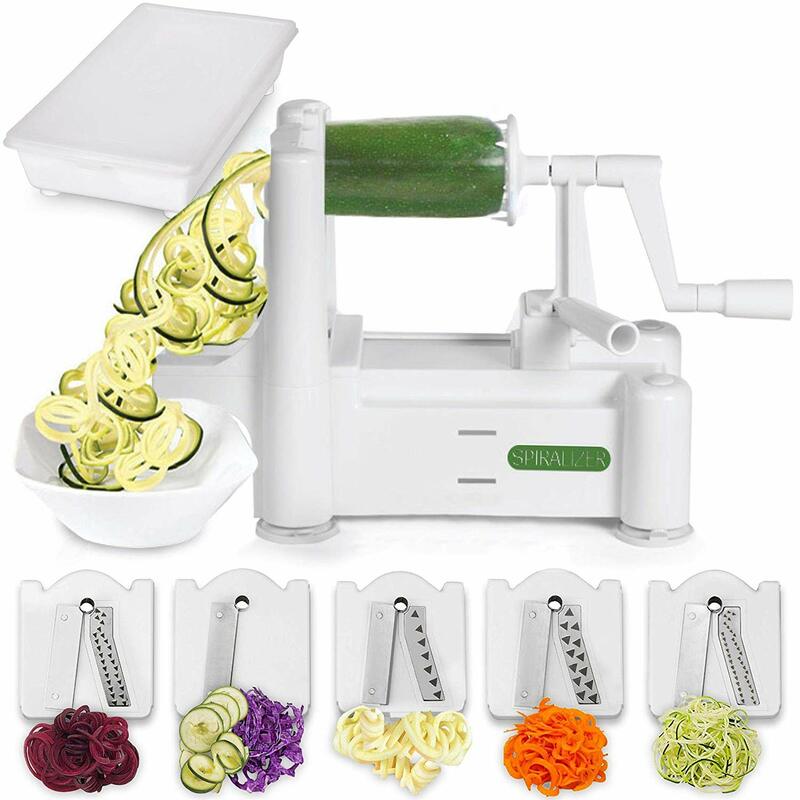 This spiralizer works perfectly with all veggies and makes eating healthy super easy!! I made curly fries for the kiddos the other day and they turned out amazing!! Click on the picture or link to check it out! !